So, I’ve always loved roadtripping. I love travel. Seeing new places. I love snapping pictures of road signs and I’m really a dork…. I have a notebook full of post cards I’ve been collecting. But isn’t this the catch for all of us….. The count down is on. I’m leaving in 9 days to go to New Hampshire. You can pretty much plan to see a lot of posts leading up to it and a lot of post with pictures after I get home. But right now the issue on my mind is packing. Luggage. Organizing. Planning outfits. Ect. There will be between 16 & 19 people traveling together in 2 cars. Yes. You read that rightly. Soooo…. the question on the table is how to consolidate and pack in the most orderly fashion. One of my favorite organizers online is Alejandra. My Mom got me hooked on her videos. She has to be one of the most delightfully neurotic people in the world! She’s super orderly. Amazingly organized. Her videos are very detailed. 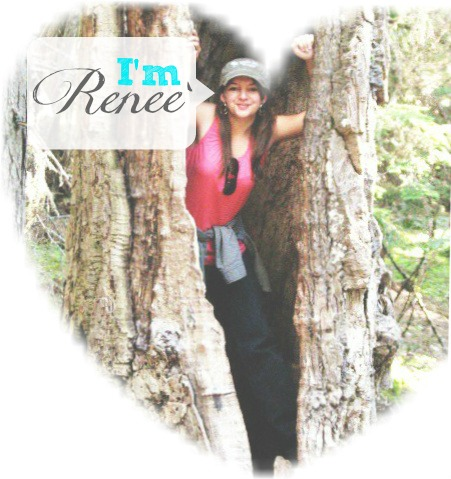 Go here to see her awesome website. 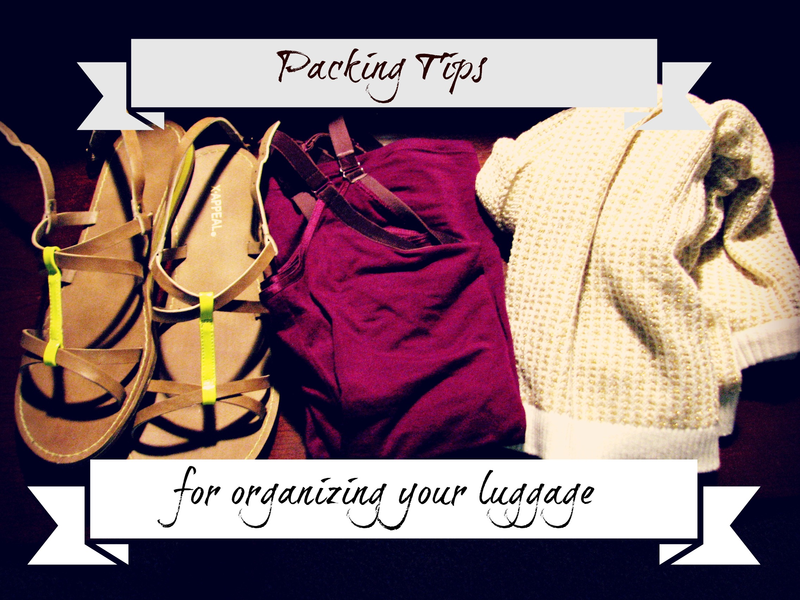 So, for tips on packing I went straight for this video. I hope this was helpful and inspirational for you, too. I’m sure I’ll post more of her videos but be sure to look her up if you aspire to be a more organized individual. I’ve been slowly but surely attempting to re-do and re-organize my bed and bathroom. It’s taking a lot more time than I would like because I’m not as diligent as I should be to jump in there and get it done. Also because I want to think every project through and do something that will last and function well in the long run, not just for a few weeks/months. One of my projects has been jewelry. I’m sure you’ve seen this idea before but I’ll share anyway. 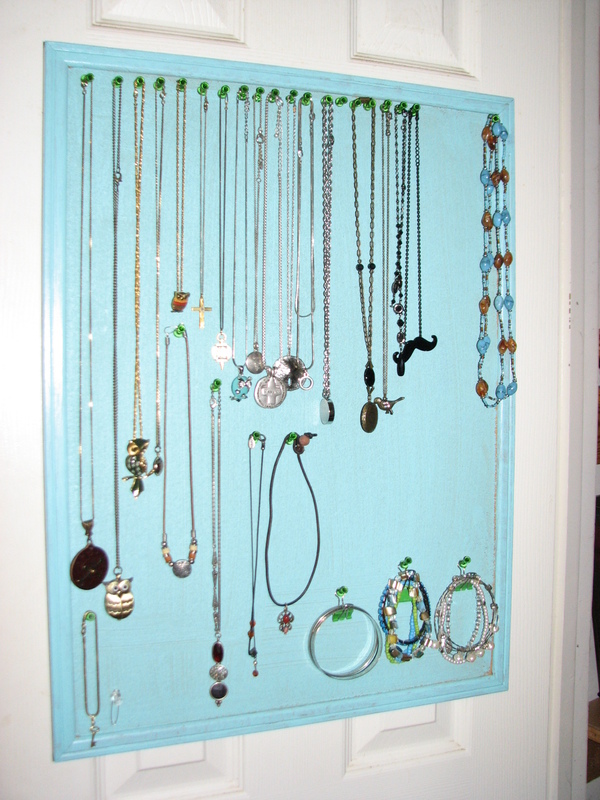 For organizing necklaces this is what I did. 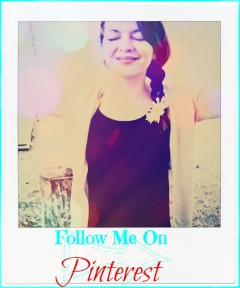 I’m sorry that I didn’t take any pictures while doing the project. MY BAD! But it was VERY simple. Here is the step by step. 1.) 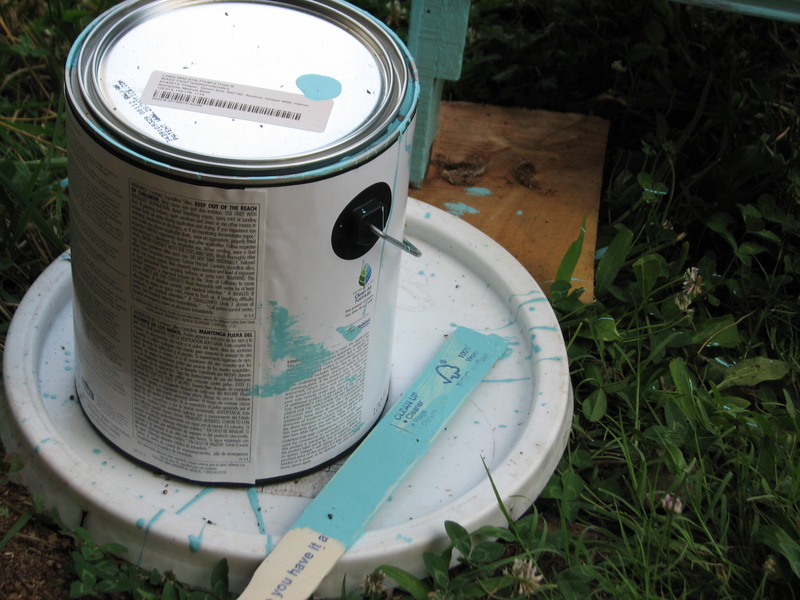 Gather one paint brush of choice (I used a bristle brush but you could try a sponge brush) One can of high gloss wall paint in preferred color. One cork board. And a bag of thumb tacks. 2.) Lay cork board on newspaper or something protecting your surface. Use brush to thoroughly coat cork board. Let dry. Coat again. Let dry. Two coats of paint should do it. 3.) Hang in desired location. I put three tacks in my closet door evenly aligned and hung the cork board on that. If sometimes swings a little so I intend to secure it with Velcro at the bottom. 4.) 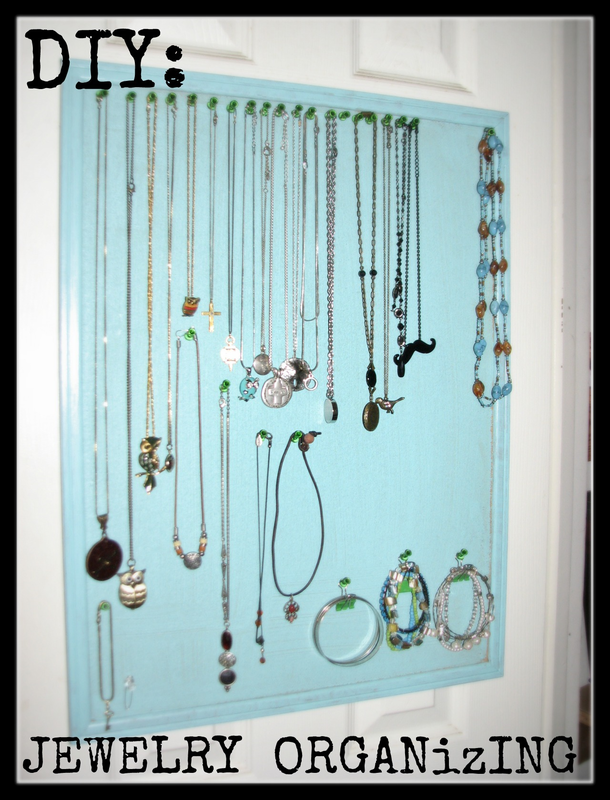 Place your thumb tacks in the cork board in what ever arrangement you prefer based on the jewelry you’ll be hanging.